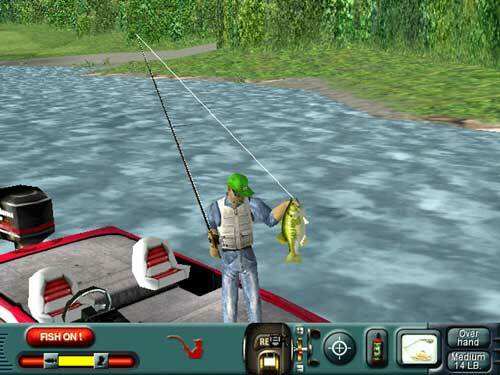 Trophy Bass 4 is a fun, challenging, and highly accurate bass fishing simulation based on real lakes, real lake conditions, and real bass behavior. To succeed, you will need to consider the weather, season, water conditions, and many other factors that affect how real bass act. What you learn playing Trophy Bass 4, seeing the Pro video tips, and reading the 'How To' multimedia bass fishing reference will be equally useful on real fishing trips...and vice versa.